Antivirus is a confusing matter: it's called antivirus, but there are tons of other types of malware and spyware out there. 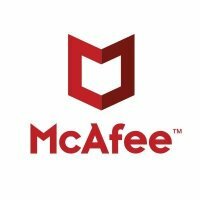 So, do antivirus programs also scan for spyware, adware, and other threats? Let's start with the differences between "viruses" and "malware." Viruses are a specific type of malware (designed to replicate and spread), while malware is a broad term used to describe all sorts of unwanted or malicious code. Malware can include viruses, spyware, adware, nagware, trojans, worms, and more. However, because viruses (and to a lesser extent, trojans and worms) made headlines several years ago, most security companies focused their marketing on them, which is why they're called "antivirus." The focus of online criminals has shifted and therefore malware has changed. Criminals see today’s online society as an opportunity to steal personal data including credit card and banking details, pins, passwords and information such as home addresses, phone numbers and even the names of family members. Criminals can, for example, write malicious code and distribute it in the form of a trojan. The trojan can collect personal data which can be sold to crime organizations who can then steal money directly from the victims bank account. Other tools call themselves "anti-malware," but malware is a broad term that includes viruses—so it isn't clear which threats they cover either. Many people think their anti-malware tool also protects them from viruses, even when when it doesn't, and vice-versa. 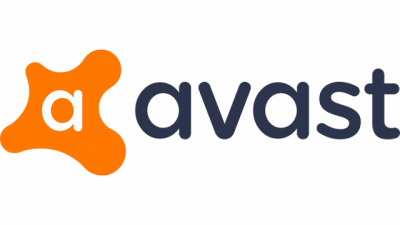 Avast scans for and protects from all varieties of malware. Viruses were extremely popular in the ‘90s, which is when the term “Antivirus” became common, but today viruses are the minority when it comes to malware. There are, however, a few at-large viruses currently evolving and spreading, these include “Sality” and “Virut”. More common than viruses is malware like Trojans, Worms, Backdoors, Exploits, Adware, and PUP (Potentially Unwanted Programs), which can include communication clients, remote desktops and password revealers, just to name a few. Infectious malware, consists of viruses and worms; the types of malware you're probably already familiar with, and the types that almost every security tool will scan for and help you remove. Web threats, are some of the more advanced forms of malware we see on a regular basis today. They include keyloggers, spyware, adware, bots, and even ransomware. Concealment malware, includes trojans, backdoors, rootkits, and even fake antivirus software. Mobile malware affects smartphones and tablets. Malwarebytes Anti-Malware hunts down most often zero-day or zero-hour malware, a term used to explain malware that has been newly created and released on the web. Zero-hour malware can be any type of malware out there that traditional antivirus products have a hard time detecting, so it's an additional security measure to protect the user from the kind of malware they are most likely to encounter while surfing the web. Most zero-hour malware is distributed in 'drive-by' exploits or even via hacked accounts such as Facebook, Twitter or Skype. Some of the most commonly detected malware include the Zeus banker Trojan, as well as other Trojan malware with the same purpose, such as Reveton ransomware and other types of ransomware that attempt to extort users into paying ridiculous fees, and an array of fake antivirus software that usually allow additional malware to be installed. More recently, Malwarebytes has begun detecting "Potentially Unwanted Programs" (PUPs). PUPs usually refer to adware or other types of software that really doesn't do anything but slow down your system and bombard you with advertisements. Put simply, Malwarebytes aims to protect you against all manner of malware, but common viruses and older threats aren't included. Their goal is to stay on the forefront and protect users from new exploits, trojans, backdoors, adware, and spyware. For everything else, you'll want a traditional on-access security tool (Avast). All protectect against viruses and malware including Trojans, worms, spyware, rootkits, and keyloggers." The level of protection that they offer however, depends largely on the specific product you're running. All of the paid software packages include antivirus and antimalware protection. As you move to more expensive products, you get other features like protection for your Facebook or Twitter accounts, identity theft protection, cloud-based backup services, and more. However, they may not protect you from some of the more nuanced threats like zero day exploits, toolbars you've installed, or browser vulnerabilities. If you're thinking about a premium product, your best bet is to read the description of the software suite you want very carefully before buying. Most antivirus companies depend on you being confused and just buying the most expensive package because you think it offers the most protection, when it may just include a bunch of features you don't need.